Origin: Mountain streams of Bangladesh. 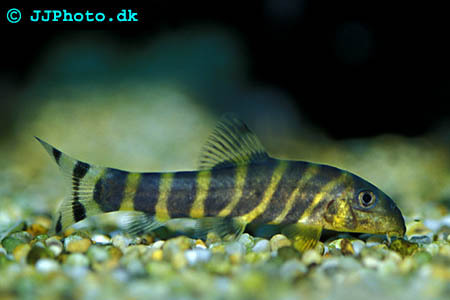 Company: This species is a small and peaceful Botia that will suit most peaceful community tanks. 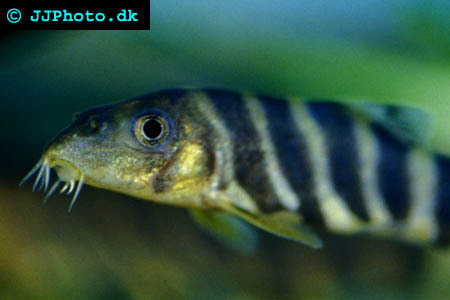 Aquarium setup: Queen Loaches are slightly more delicate then other Botias so be sure to provide good water conditions. They prefer to be kept in groups of four or more fishes. Is best kept in an aquarium with lot of hiding places. Feeding: Will eat most commercial foods but prefers live and frozen foods and in my experience bloodworms is a particular favourite. Breeding: No captive breeding reports and little or nothing is known about breeding this species..